Over the course of January, my feeds were full of posts about re-organizing, clearing out, and getting rid of the excess. I blame a lot of this on Marie Kondo's Netflix series as well as the start of the new year. And, like most other people out there, I'm also in desperate need of a house-wide purge. My craft room (where I spend the bulk of my time), in particular, is bursting at the seams. 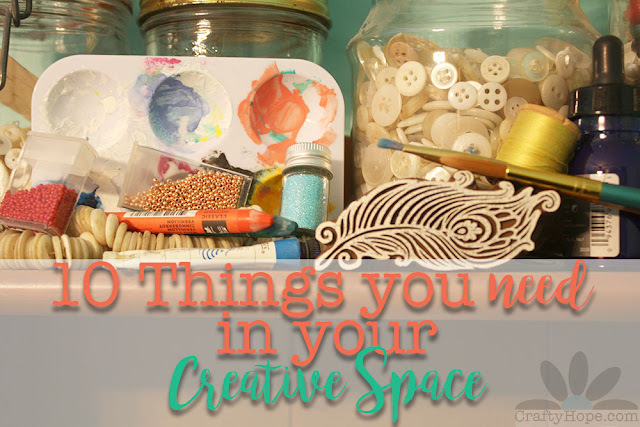 Even so, I try to keep in mind that there are only ten things I need in my creative space. I bet it's exactly what you need too. This echoes some of what Marie Kondo says about objects: if they don't bring you joy, do you really need them? This is true of the space where you create. Whether it's a dedicated studio, your dining room table, or in front of the tv, you need to find joy in that space. If that doesn't exist, figure out how to make that happen. Maybe you can paint the room, change your view, add houseplants or flowers. It doesn't have to be anything major but if there's no joy in the place where you're working, how can there be joy in your art? Like joy, this is a feeling more than anything. Do you feel free to play, experiment, and let loose in your creative pursuits? This is something you need to bring into your space with you each time you begin to create. Make sure to fill your space with the items and colors that make your creative spirit sing. Maybe it's listening to music, having your favorite materials within reach, or hanging pictures of artists that inspire you. If your muse isn't visiting you in your space, try to find out how you can change that. Even on a cloudy day, your work needs to shine. You may need to invest in lighting solutions, or just make sure the blinds are wide open to let in the sun. If you're not comfortable in the space, it's going to be difficult to stay there long. Find a chair that suits you and your desk well. If you stand to work, get a pair of shoes that feel good on your feet. Don't let a sore back be the reason you can't work on your dreams. If you're not finding the drive to get creative, you may need to re-examine what your real passion is and what it is you want to make. This is something you need to bring in your space with you each time you enter. Keeping you ming open allows you to see the possibilities in your art that you might miss otherwise. Try new mediums, techniques, and inspirations to keep you excited about what you're doing and so that your work can move forward. We're all constantly learning. While experimentation is always a good thing, having the right tools on hand can be just as important. Don't make creating harder on yourself than it needs to be. If you have to struggle with using the wrong tools, you're not going to enjoy the process. Bring with you a "what if" mindset that will let you explore the boundaries of your creativity. It could lead to your next breakthrough or an amazing new technique or your signature style. Try new things, always. That next amazing piece of art is not going to create itself. Get into your creative space and get to making it! Remember, it's not always about what you have, but what you bring into a creative space and what you do with it! 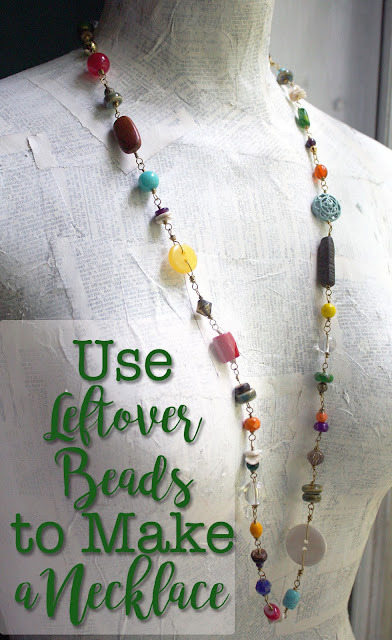 I've linked up this post on the following link parties: The Sway's Recipe & DIY Linky Beautifully Made, and Sew It Cook It Craft It. Alysen, They can, but my thinking was more along the lines of "why buy ALL the wrong tools when you can get one really good set that does the job and does it well?" I do need to tackle my space here soon. Maybe after this crazy weekend I have coming up. Of course I have a feeling I'll mess it right back up trying to make something for my husband for Valentine's Day!! Ha. Thanks for dropping in!